The new VAT Notice does not currently include the latest timetable changes announced by HMRC in October 2018. MVD is deferred by six months for complex VAT businesses. See Making VAT Digital: New Timetable. 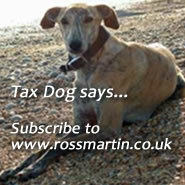 Who needs to follow the MTD for VAT rules? From 1 April 2019, if your taxable turnover is above the VAT registration threshold you are within MTD for VAT and must follow the VAT rules set out in the Notice. This includes anyone whose taxable turnover exceed the threshold for the 12 months ending 31 March 2019. If you drop below the threshold having crossed it, you remain in the MTD for VAT regime, unless you Deregister or meet another exemption. Business is run entirely by practicing members of a religious society with incompatible beliefs. It is not practical for you to use digital tools due to age, disability, remoteness of location, or any other reason. MTD for VAT will apply for the first VAT period starting on or after 1 April 2019, or the first VAT period starting after the date you cross the VAT threshold. Under MTD for VAT, some business records must be kept digitally, with functional compatible software. Some records are also required, by law to be kept in original form to enable VAT recovery, such as C79 import certificates. You cannot enter data into a spreadsheet, then manually copy this into a different bit of software. There is no digital link. In other words there can be no manual involvement in re-entering data from one source to another. ‘Cut and paste’ is not a digital link. Digital links will not be required for the first year of mandation (April 2019 – March 2020). In that period, ‘cut and paste’ (or more usually 'copy and paste') will be acceptable. From 1 April 2020, digital links must exist between bookkeeping software. You do not have to record Mixed supplies subject to different rates that are included in a single price separately. You can record the total value and total VAT due. Where a third party agent makes a supply on your behalf, you do not have to keep digital records in respect of that supply until you have received the information from your Agent. Where claiming VAT on employee expenses reimbursed, this can be entered as one line per employee, with the total value and total VAT due. You do not have to record each purchase separately. If you receive Reverse charge supplies, you will have to enter the purchase and the deemed self-supply separately if your software does not automatically deal with this. Where the amount of VAT changes as a result of an adjustment or error correction, you do not have to amend the digital record of the supply. If operating the retail scheme, the Daily Gross Takings (CGT) must be recorded digitally. You do not have to keep a separate record of the supplies that make up the DGT. If operating the Flat Rate Scheme (FRS), you do not need to keep a digital record of purchases which are not capital goods on which VAT can be claimed. You do not need to keep a digital record of the relevant goods used to determine if you are a Limited cost trader. If you use the Gold Special Accounting Scheme, you must keep a digital record of the value of sales made under the scheme and total VAT on purchases under the scheme. The additional records required to be kept for those using the Margin Scheme, do not need to be kept in digital form. Any other adjustments. Each type of adjustment must be in a separate line. You can authorise HMRC to receive data from and send data to an agent. Once authorised the agent can sign up your business to the MTD service and use software to create, view, edit, and send data to HMRC. Your agent can also be authorised to keep and maintain digital records on your behalf. You will not need to re-authorise agents already authorised to receive your VAT returns. You can have more than one agent performing different MTD functions. The agent will need to sign up to the new Agent Services account. VAT updates will be made available for MTD at a future date. This will allow businesses to voluntarily provide additional VAT information to HMRC outside of the VAT Return. Supplementary data will be made available for MTD at a future date. HMRC will specify what this data must be in due course, but will broadly be information supporting the Box 9 figure declared on the VAT return (acquisitions from other EC members states). The full Notice also contains a number of examples of where a ‘digital link’ is required.